The Witches have a motto: One child a week is fifty-two a year. Squish them and squiggle them and make them disappear. The Grand High Witch of All the World is the scariest of the lot, but one boy and the grandmother he adores have a plan to get rid of the witches for good. 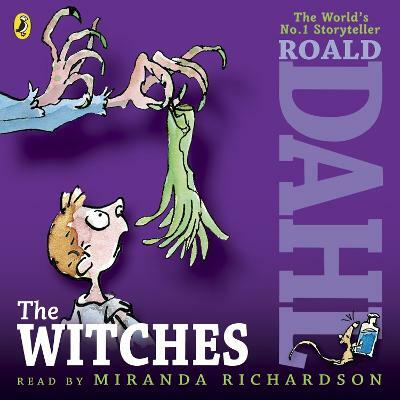 Puffin Audiobooks presents a brand new recording of Roald Dahl's classic The Witches, read by actress Miranda Richardson. This audiobook features original music and 3D sound design by Pinewood film studios. The Witches have a motto: One child a week is fifty-two a year. Squish them and squiggle them and make them disappear. The Grand High Witch of All the World is the scariest of the lot, but one boy and the grandmother he adores have a plan to get rid of the witches for good.